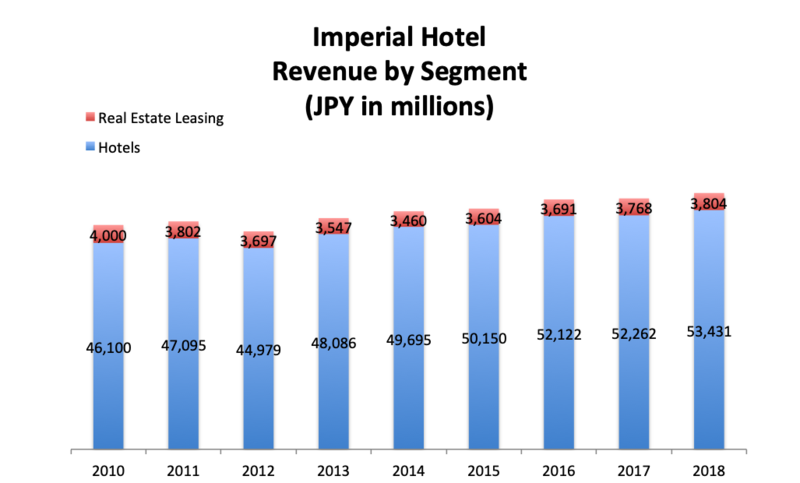 Imperial Hotel, Ltd. is a company that operates hotels in Japan. Its flagship hotel was founded in 1890, located in Tokyo. It is known as one of the oldest and luxurious hotels in Japan, also as the VIP guest house. 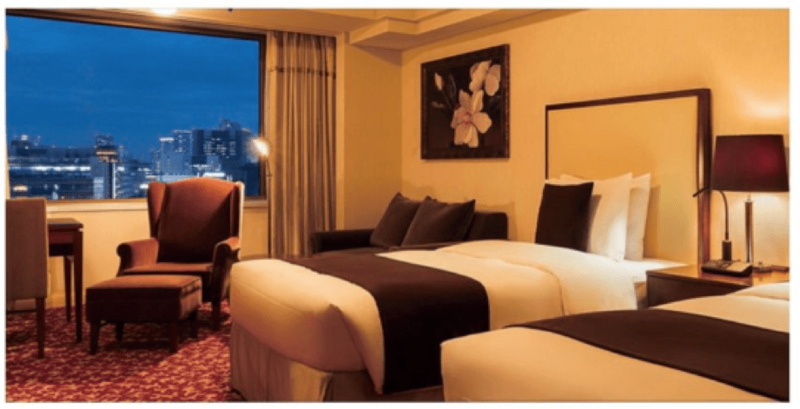 It is often referred to as the greatest three hotels of Tokyo; Imperial Hotel, Hotel Okura Tokyo and Hotel New Otani Tokyo. Imperial Hotel is a listed company on the Tokyo Stock Exchange (stock code: 9708). 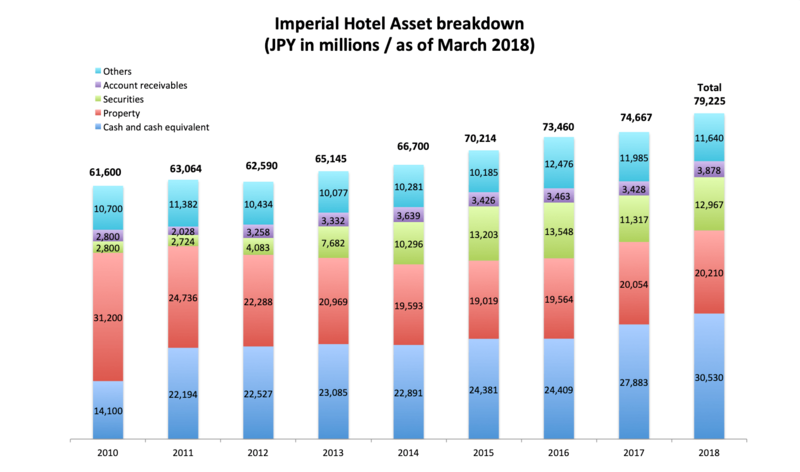 Imperial Hotel reported ¥57 billion in revenue in 2018 (+2.2% year-over-year). 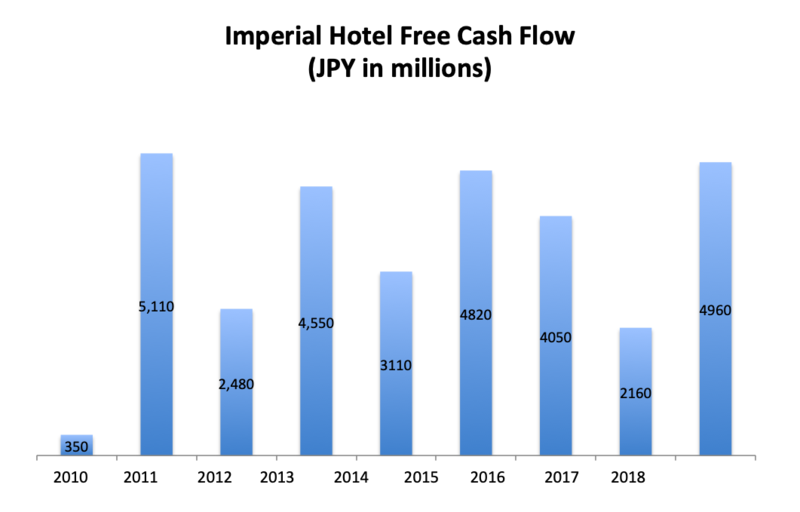 Imperial Hotel Tokyo, the company’s flagship hotel, raised ¥40 billion in sales. 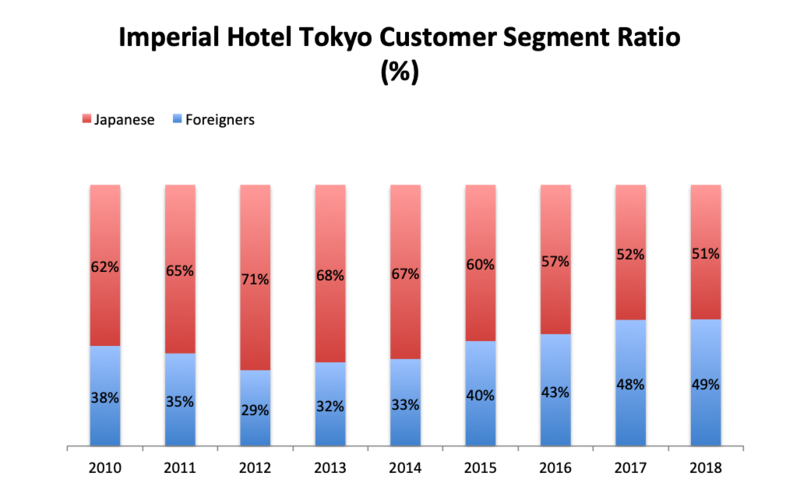 More than 49% of the Imperial Hotel Tokyo’s customers are foreign visitors. 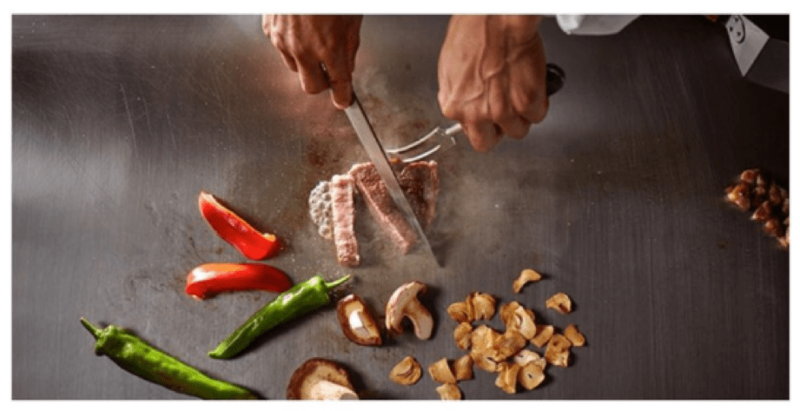 Sales from restaurants and banquets segments accounted for 55% of total revenue. FCF was ¥4.9 billion in 2018. Foreign visitors spent ¥154,000 on average while visiting Japan. 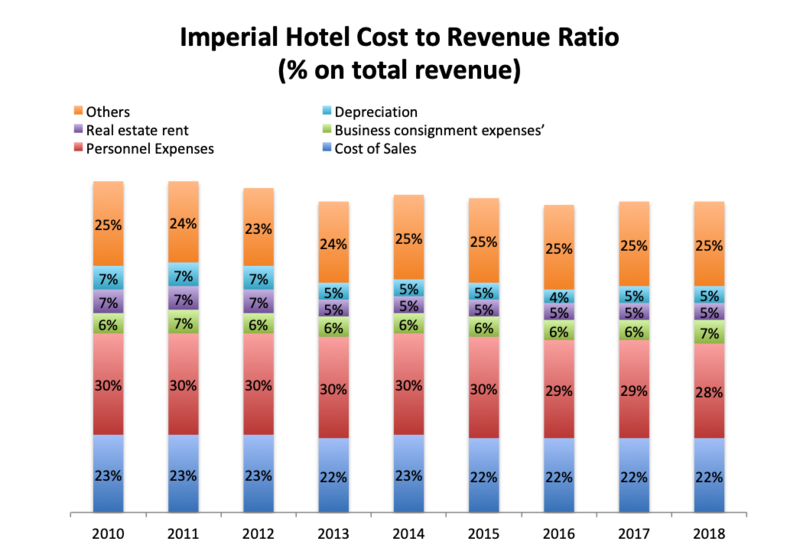 Although Imperial Hotel has been operating for over 120 years, the company’s revenue has been gradually increasing for the past decade. 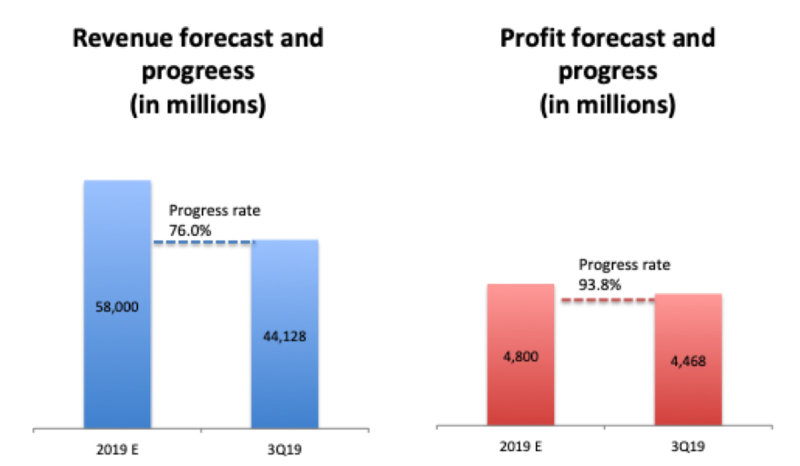 The company recorded ¥57.2 billion in revenue and ¥4.7 billion in operating profit in 2018. Their operating margin ratio was 8.2% in 2018, a slight drop after continuous growth from 1.4% in 2010. 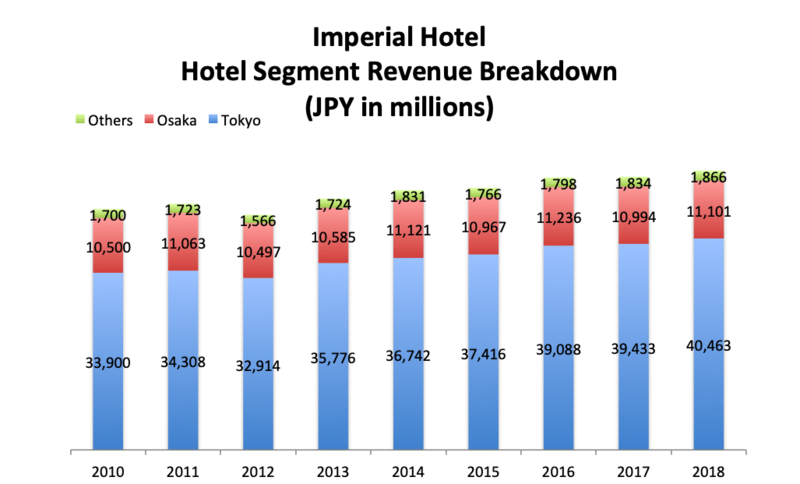 Looking into revenue by segments, hotel revenue was ¥53 billion and real estate leasing was ¥3.8 billion in 2018. 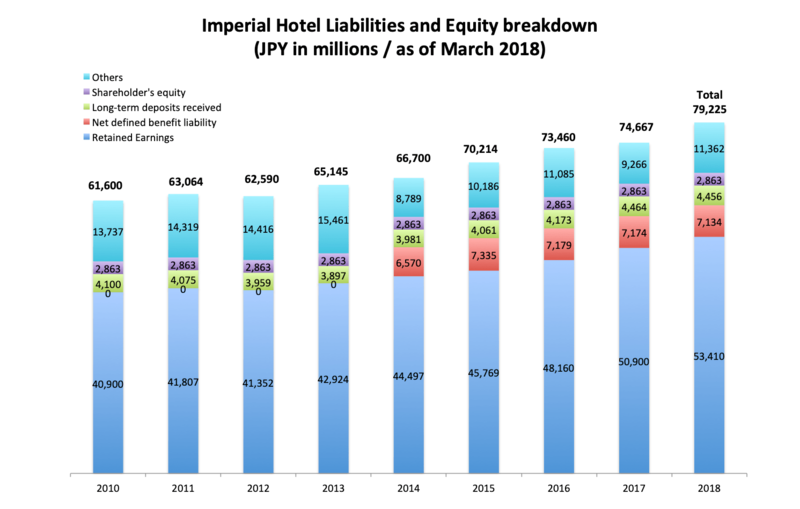 The company’s primary sources of revenue are from their hotel business; the company operates Imperial Hotel Tokyo, Imperial Hotel Osaka, Kamikochi Imperial Hotel and The Crest Hotel Kashiwa. 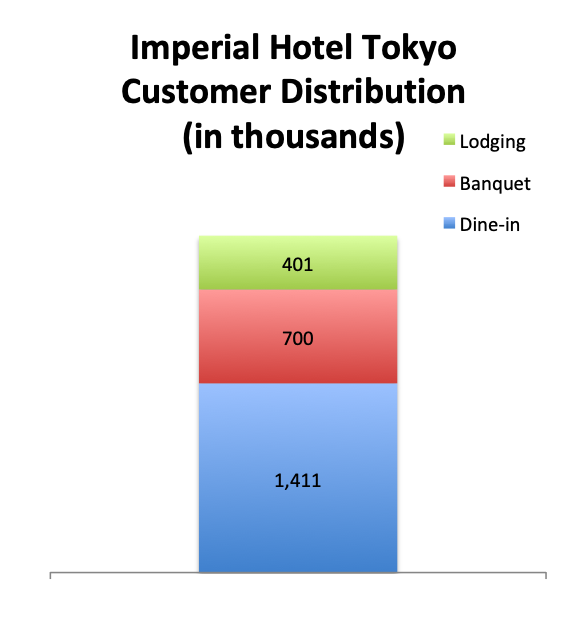 The average accommodation per room of Imperial Hotel Tokyo was ¥35,804 in 2018. The hotel’s superior suite could cost over ¥2 million. 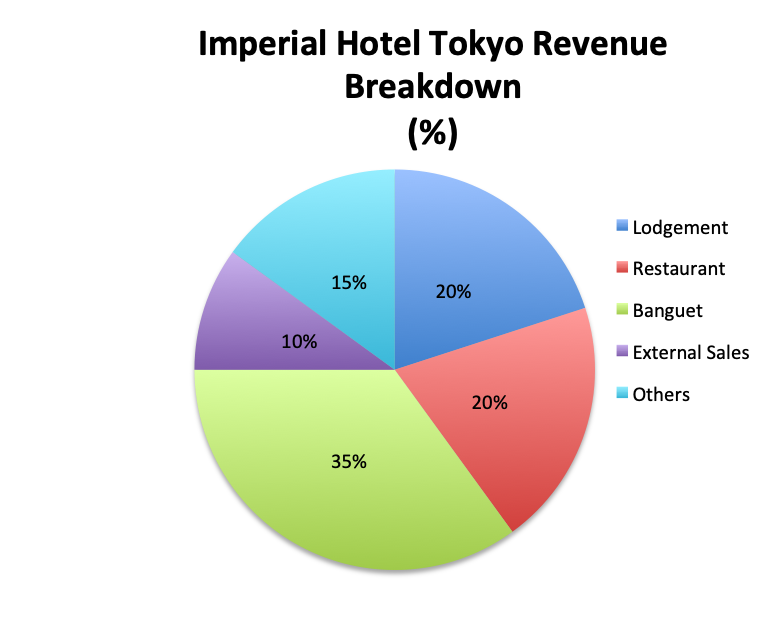 Looking into the revenues by locations, Imperial Hotel Tokyo generated ¥40.5 billion alone. Compared to the competitors, Hotel Okura gained ¥76.4 billion and Hotel New Otani achieved ¥70.2 billion in sales. Both of them surpassed Imperial Hotel. However Hotel Okura operates 73 hotels and New Otani operates 15 hotels worldwide. 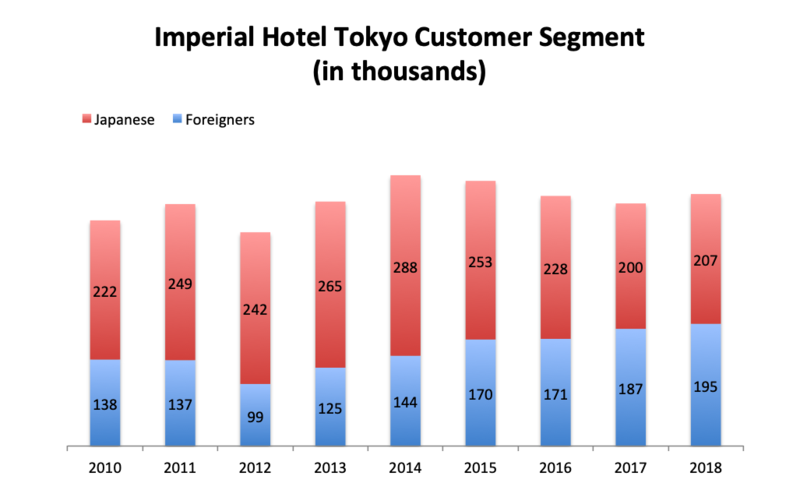 Imperial Hotel Tokyo had 402,000 visitors in 2018; 207,000 Japanese and 195,000 foreigners. While number of Japanese customers has been decreasing, foreign customers have been increasing since 2012. Visitors from Asia have primarily contributed to the increase. Foreign customer ratio increased to 49% in 2018 from 29% in 2012. Imperial Hotel Tokyo has 13 top-rated restaurants inside the building, that covers Japanese, Western and Chinese cuisine. As many non-staying customers also visit those restaurants, revenue from restaurant segment accounts for high percentage of total revenue. As mentioned before, the company’s operating margin profit has been steadily increasing as a result of improving their cost structure. 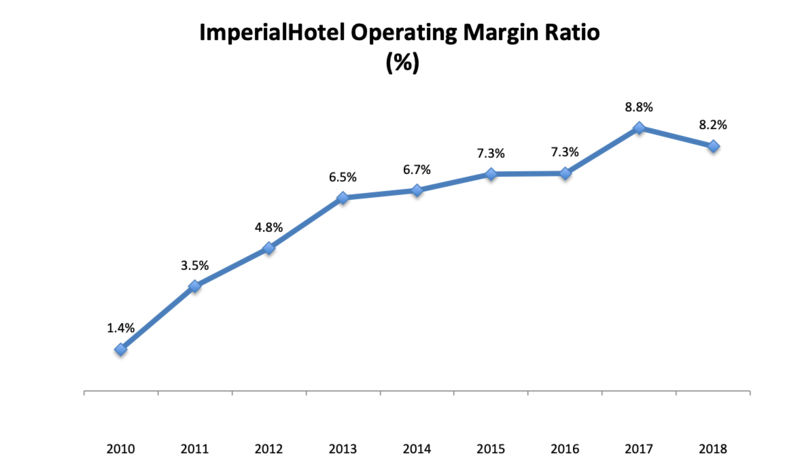 Looking into the balance sheet, Imperial Hotel valued retained earnings at ¥53 billion, which means that the company has kept stable financial management. Cash and cash equivalent were valued at ¥30 billion (38.5% of total asset) and property was valued at ¥20 billion. 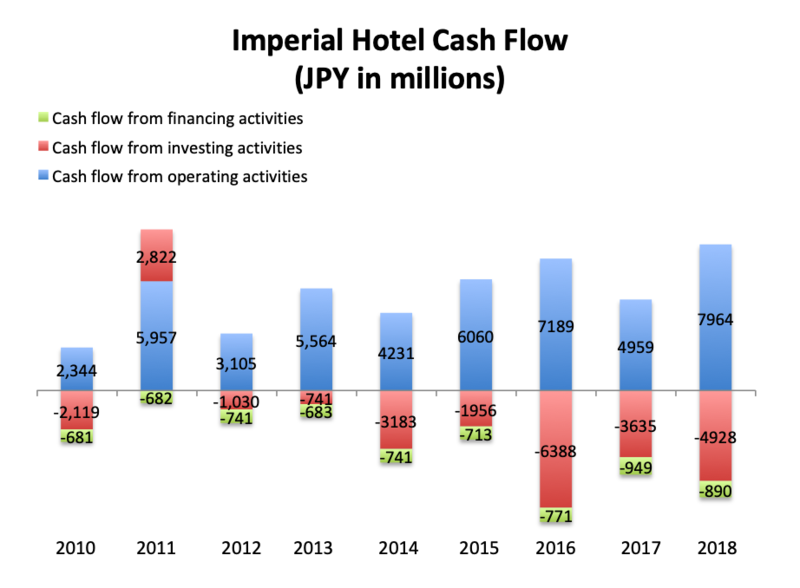 Cash flow from operating activities has been positive each year (¥7.9 billion in 2018). As the company spent ¥2-3 billion on renovations of rooms and facilities, cash flow from investment activities was negative. Free cash flow has also been stably positive each year. It was ¥49.6 billion in 2018. 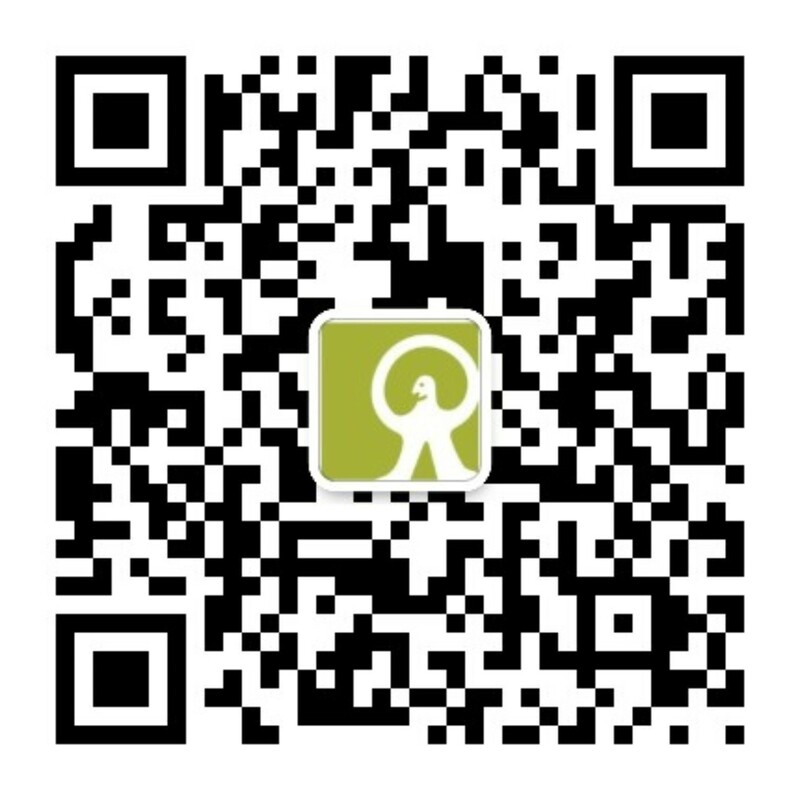 Current market cap is ¥119.7 billion. Enterprise value is ¥88.4 billion. EV/FCF is 18. 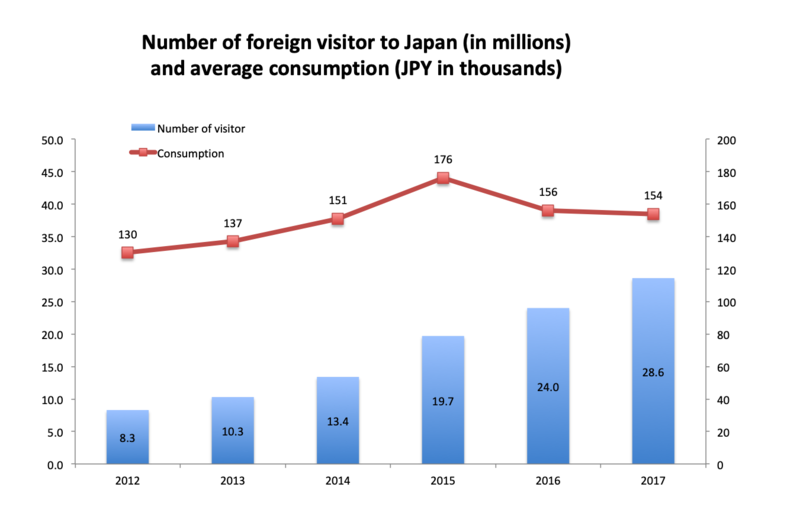 Average consumption by foreign visitors to Japan was on increase trend up until 2015 (¥176,000 in 2015), however it decreased to ¥154,000 by 2017. It is mainly because of the increase of visitors from Korea who stayed short and spent relatively less money. The Japanese Government plans to raise the amount tourist’s consumption to ¥8 trillion by 2020. To achieve the target, it is necessary to attract wealthy visitors therefore Imperial Hotel could be an important player in reaching this goal. 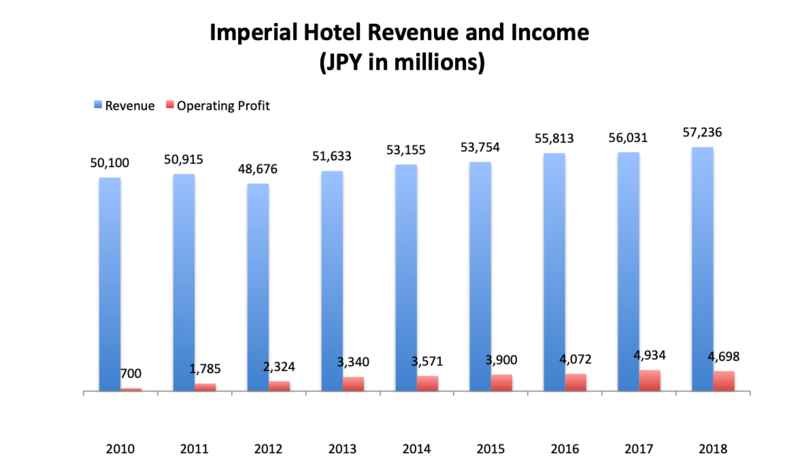 Imperial Hotel estimates to make ¥58 billion in revenue and ¥4.8 billion in profit in 2019. At the point of 3Q18, the company already achieved 93.8% of the profit target. To learn more about investing Japanese stock market from Australia, or to open your account and start trading today, fill out our Monex contact form and we’ll get right back to you. The original article was published by Stockclip, Inc. on 27/03/2019.